"Tireless" is a beautiful one owner 80' Hatteras featuring African Mahogany interior wood with high-gloss finish. Upgraded décor package, with sunken wet bar in the Salon. Custom crystal, glass-ware and china cabinets. Master stateroom with his and hers head arrangement. Electric Salon door. Underwater lights. LED lighting throughout. Built-in showers in Guest Heads. washer/dryer, refrigerator, freezer and microwave in crew quarters. Tinted Salon and Galley windows; hot tub; docking station. Pullman berth in starboard Guest Stateroom. Brownies Dive Compressor. Teak Aft Deck floor. Safes in all staterooms. Grey water tank. United Yacht Sales New Jersey would love to guide you through a personal showing of this 80' Hatteras 2014 2013. 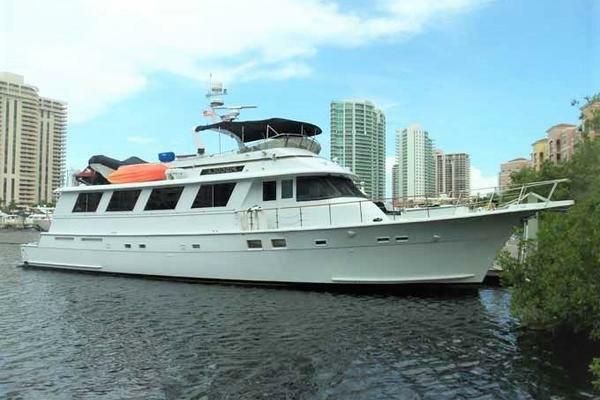 This yacht for sale is located in Fort Lauderdale, Florida and priced at $3,699,000. For a showing please contact us by filling out the form on this page and we will get back to you shortly! 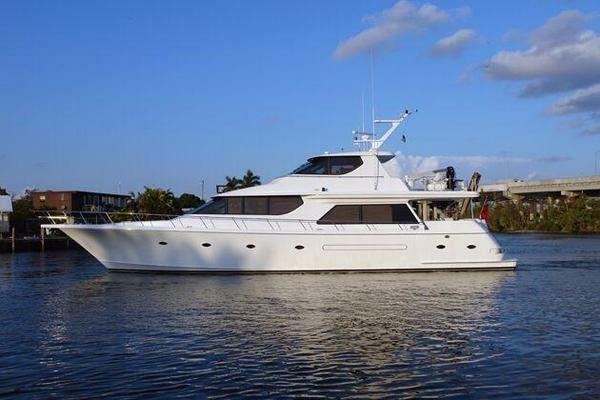 A beautiful one owner 80’ Hatteras featuring African Mahogany interior wood with high-gloss finish. Upgraded décor package, with sunken wet bar in the Salon. Custom crystal, glass-ware and china cabinets. Master stateroom with his and hers head arrangement. Electric Salon door. Underwater lights. LED lighting throughout. Built-in showers in Guest Heads. washer/dryer, refrigerator, freezer and microwave in crew quarters. Tinted Salon and Galley windows; hot tub; docking station. Pullman berth in starboard Guest Stateroom. Brownies Dive Compressor. Teak Aft Deck floor. Safes in all staterooms. Grey water tank. (2) Large custom glass storage cabinets under the bar counter, also U-line Icemaker and U-line refrigerator. "Tireless" is a registered name and does not convey.Exclusions are to include but are not limited to, all owner’s personal items and rooster painting in the main salon. A detailed list of exclusions to be provided at time of sale upon written request.